Sunscreen is also known as a sunblock. It is a must-have skin care product for everyone. No matter, what is your skin type? It is best skincare product for all. As we all know that the sun rays leave so many harmful effects on the skin such as darkness, premature ageing sign, tanned skin, pigmentation as well as rashness. These all skin diseases can be protected by sunscreen. It is the best shield against many skin problems. There are many sunscreens available in markets but it is the bit difficult to choose best one according to the oily skin because most of the sunscreens are greasy. Here in this post, I am going to share the top 10 best sunscreens for oily skin. Let’s check out them below. Aroma Magic is one of the best sunscreen which is enriched with cucumber extract. It gives adequate protection from the rays of the sun. 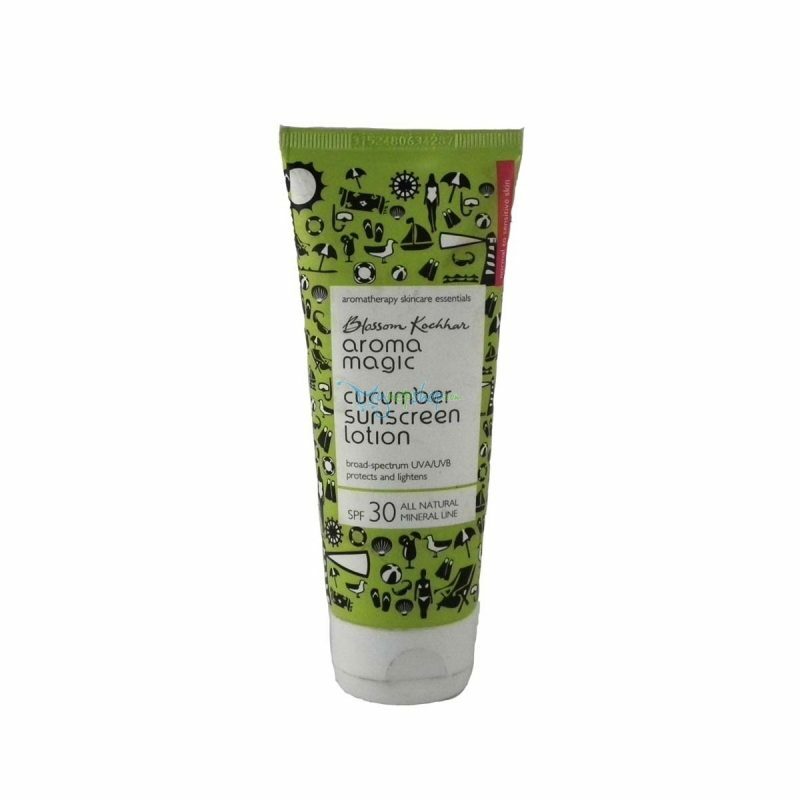 Aroma Magic is non-greasy sunscreen with the feel of light on the skin as well. It has SPF 30 with all natural minerals. It also includes essential oils with lovely mild fragrance. 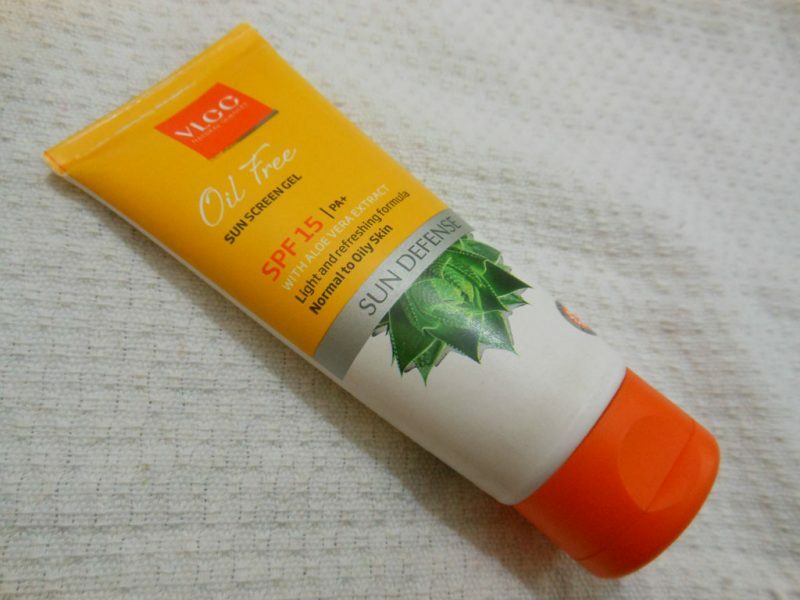 VLCC Oil-free sunscreen is a gel based sunscreen which contains SPF 15. It includes Aloe Vera gel, cucumber extracts, camphor and watermelon extracts. It is perfect for everyone having oily skin. VLCC Oil-free sunscreen gives you protection against UV rays. It is non-greasy and gives a light feel on the skin. Its cooling sensation makes it ideal for everyone. 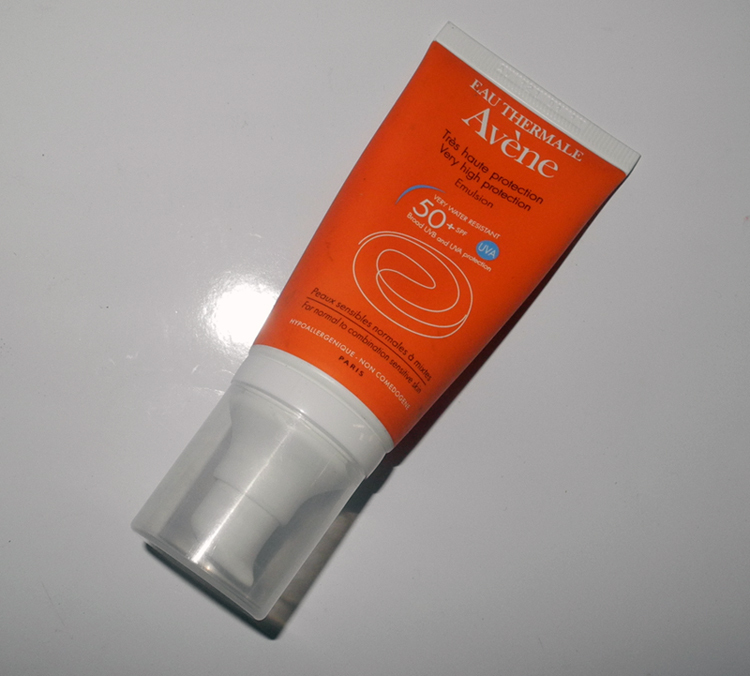 Avene very high protection is a sunscreen which includes SPF 50. It is not only ideal for oily skin but also perfect for combination skin, normal skin or prone skin also. It is very effective because it protects skin from UVB and UVA rays both. 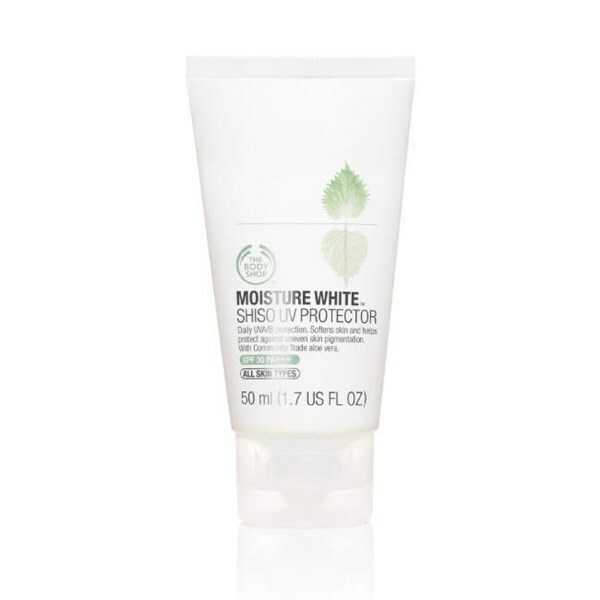 The Body Shop moisture white UV sun protection cream is a daily protection sunblock which softens your skin and prevents from darkness, pigmentations and uneven skin tone. It includes SPF 25 and it is perfect for all skin type, so with oily skin, people can easily use it. It is much expensive sunscreen than other. 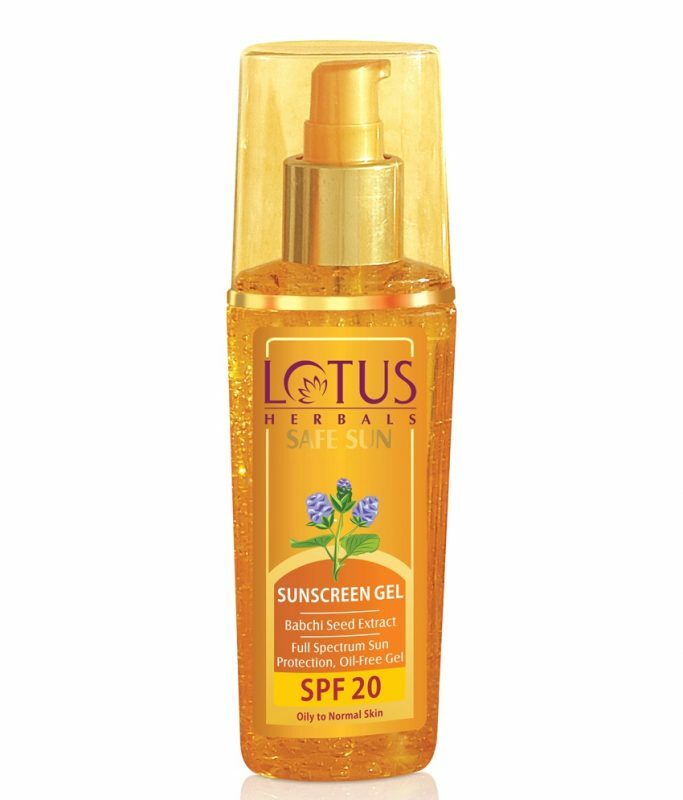 Lotus Herbals Safe Sunscreen Gel is very effective for oily skin. It absorbs easily into skin and makes skin healthy. It includes SPF 20 which gives you protection from sun rays. Lotus Herbals Safe Sunscreen Gel is very light in texture so that your skin never feels greasy. It is ideal sunscreen for oily and combination. 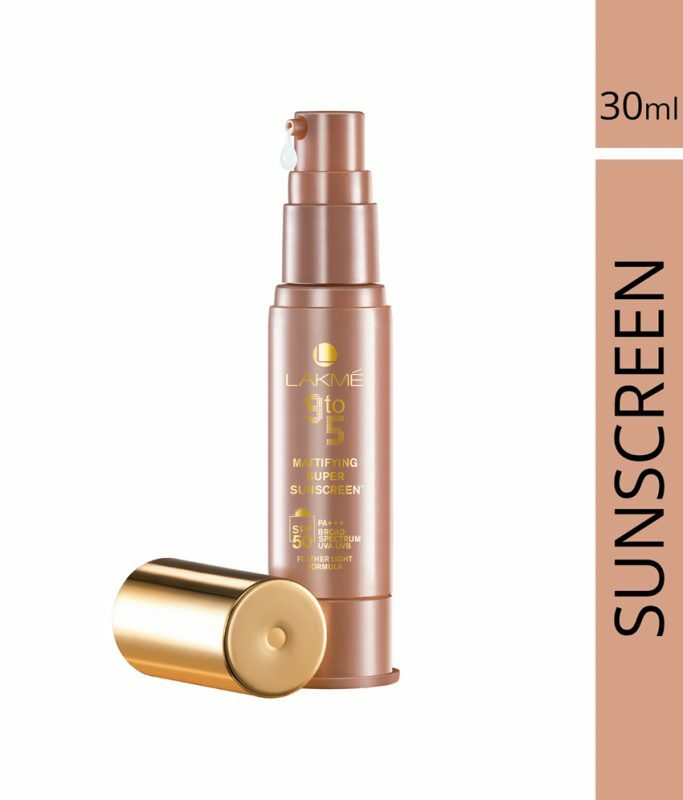 Lakme 9 to 5 mattifying super sunscreen includes SPF 50 which prevents skin from UVA and UVB rays. It has two variants one is hydrating for dry skin and mattifying for oily skin. This sunscreen is ideal for everyone because it gives you 9 to 5 protection without making feel heavy on the skin. It is the lightweight in texture. Clarins UV Plus HP Sunscreen is a lightweight cream which gives you protection from UVA rays. It prevents skin from dirt and oil for long hours. 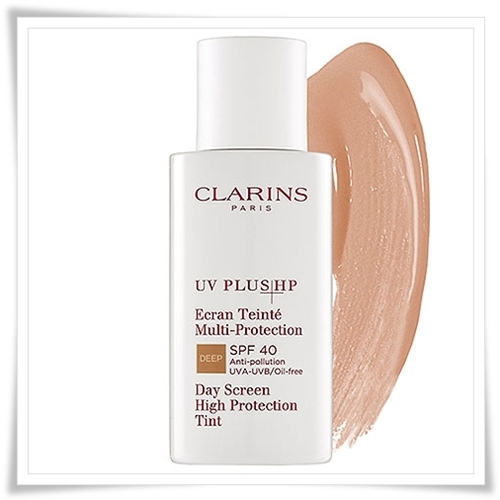 Clarins UV Plus HP Sunscreen has SPF 40 which is ideal for oily skin. It is non-greasy and prevents your skin from ageing signs and dark spots. It is very expensive sunscreen in all. 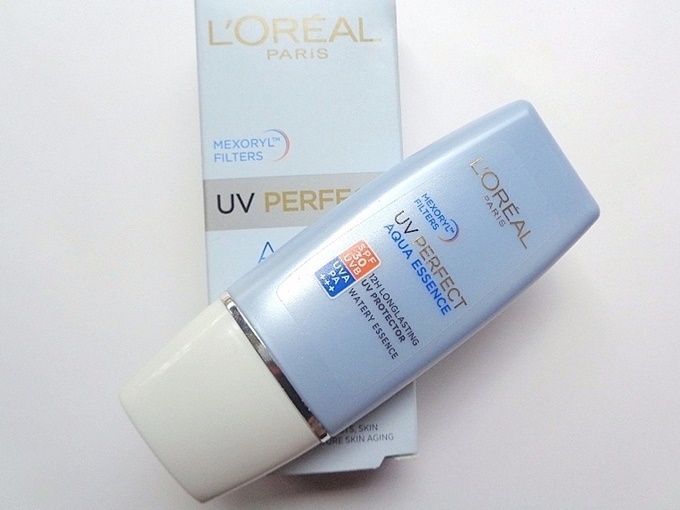 L’Oreal Paris UV Perfect Aqua Essence SPF 30 is a lightweight water based sunscreen which gives your skin a beautiful look with its aqua effect. UV Perfect Aqua Essence includes SPF 30 which protects your skin against UV rays. It is light-weighted and doesn’t make skin feel heavy. It is non-greasy and ideal for oily skin. 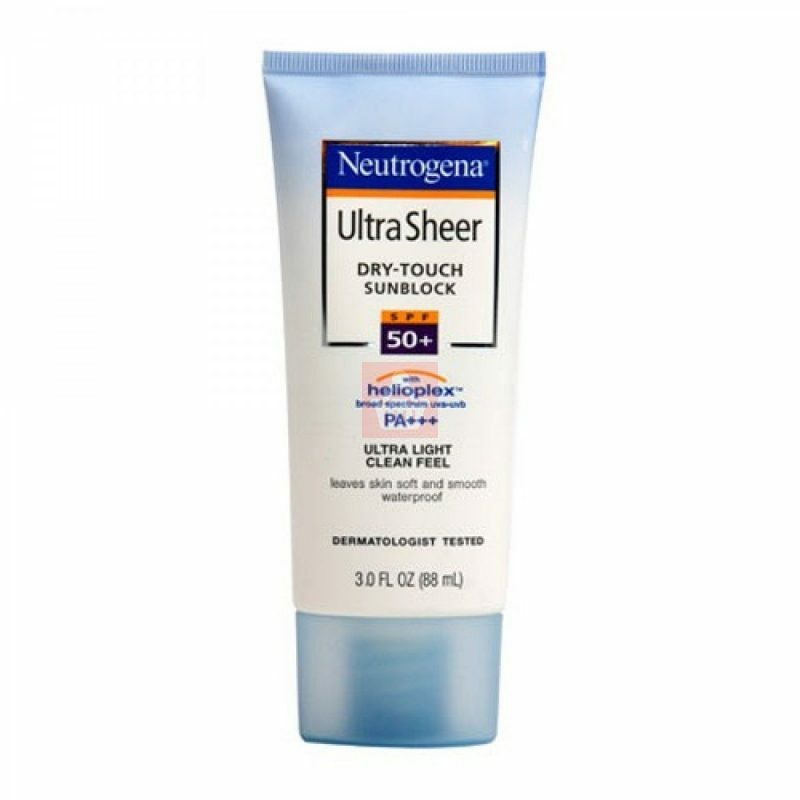 Neutrogena Ultra Sheer Dry-Touch Sunblock contains SPF 50. It gives your skin a broad spectrum UV protection with its waterproof and sweat proof formula. Ultra Sheer Dry Touch is long lasting sunscreen which is ideal for oily skin. It is light-weighted and makes skin feel fresh and breathe easily. It is non-greasy also. 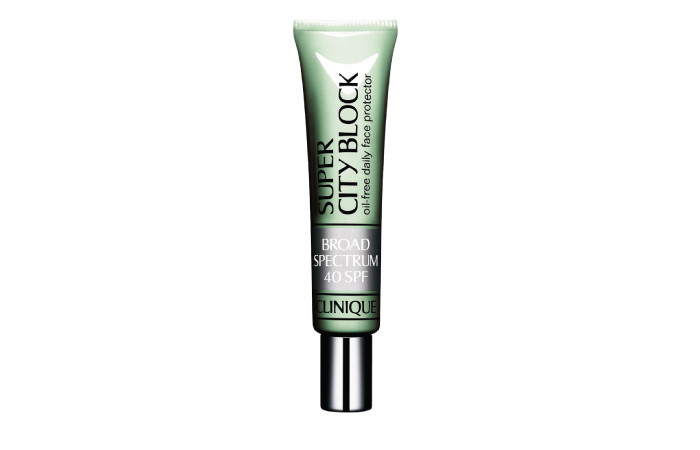 Clinique Super City Block sunscreen is an oil-free daily face protector which makes your skin fresh and healthy. It comes up with sheer and light-weighted formula. Its daily application protects your skin from ageing sign and tanning. It contains SPF 40 and it is ideal sunscreen for oily skin. These top 10 sunscreens are really best sunscreens for oily skin. Which give you so much protection from UVA and UVB rays. They are highly effective cream having SPF protection. These sunscreens are easily available in markets and affordable. If you have already using one of these sunscreen then don’t forget to tell us your opinion and experience with that sunscreen.